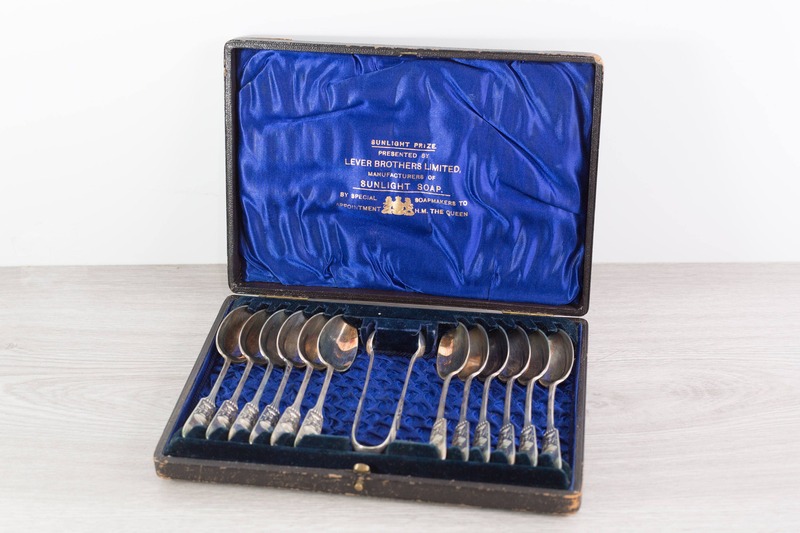 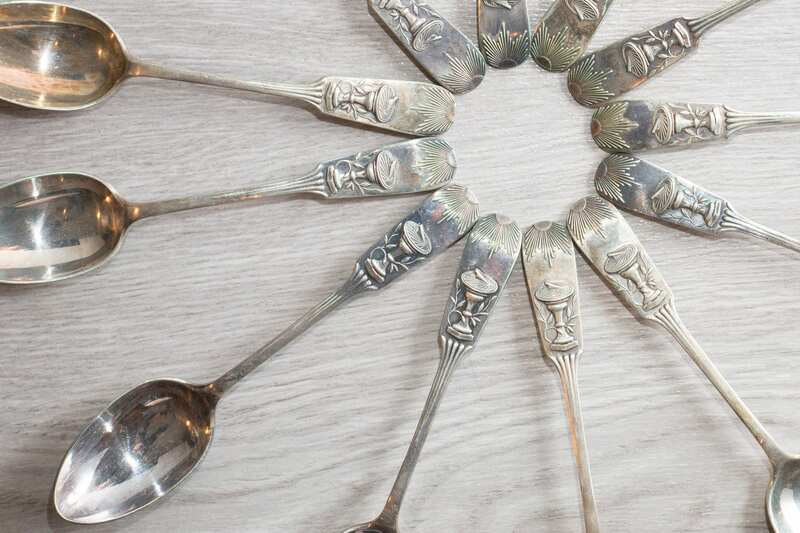 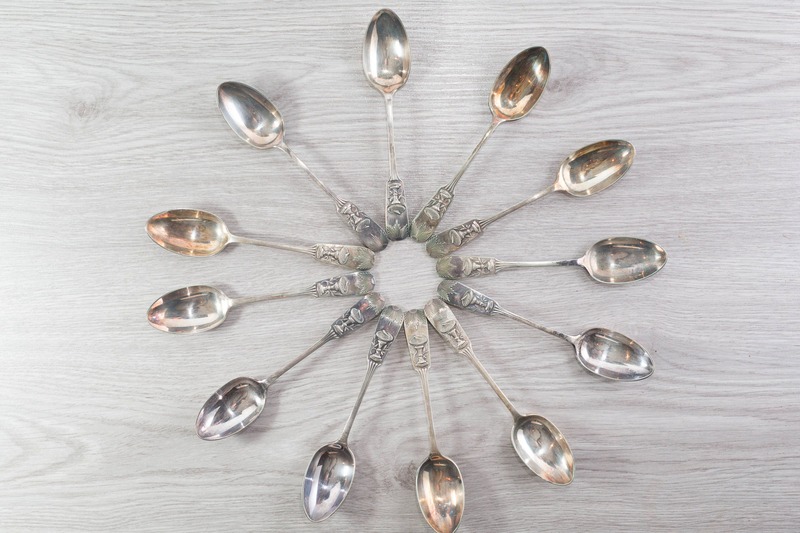 This is a fantastic 12 piece set of silver plated spoons plus tongs. 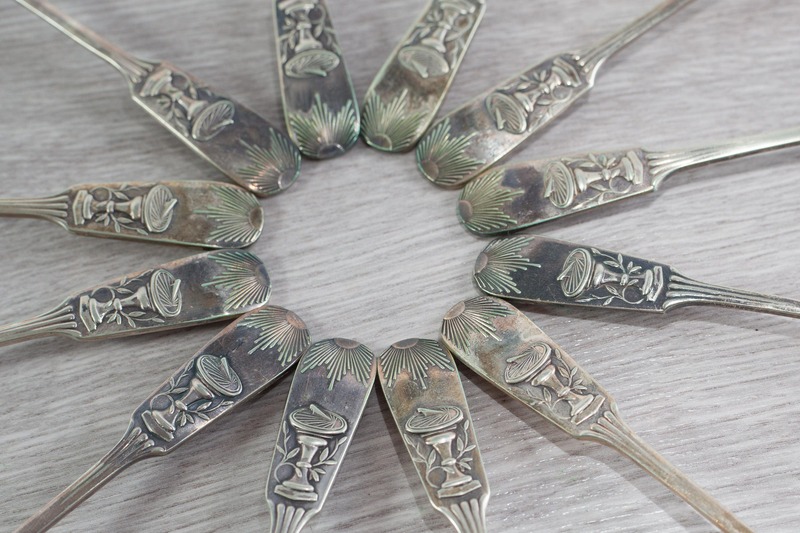 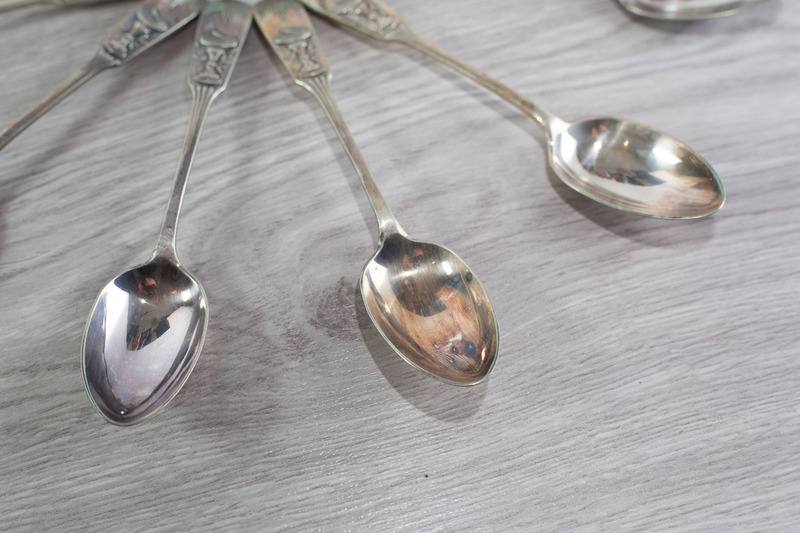 They feature a sundial shadow clock image at the base of each spoon. 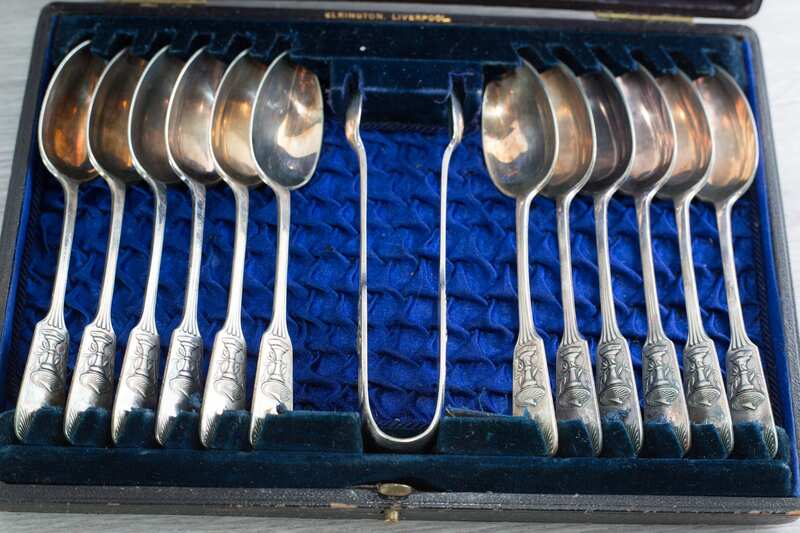 Marked "E& Co. (Elkington and Co.). 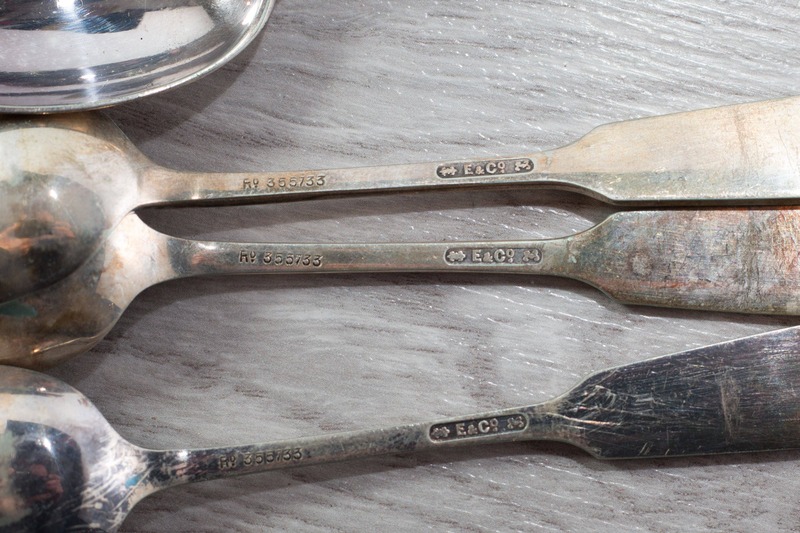 with number "355733". 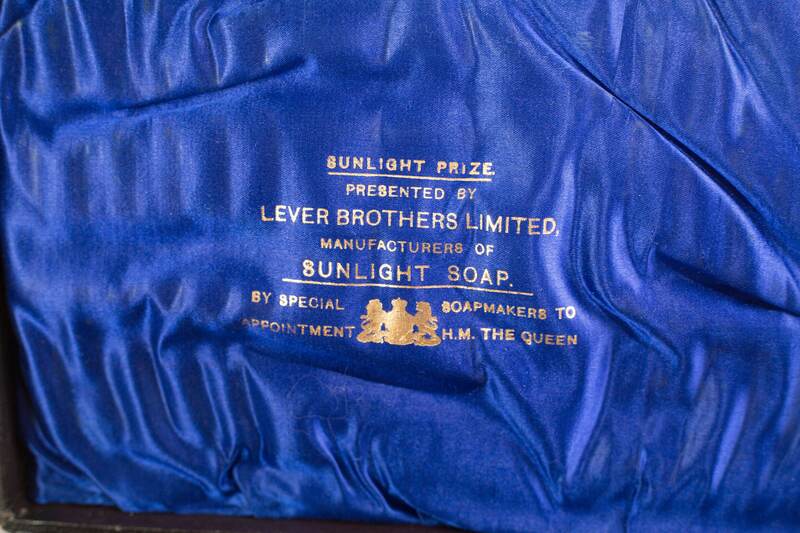 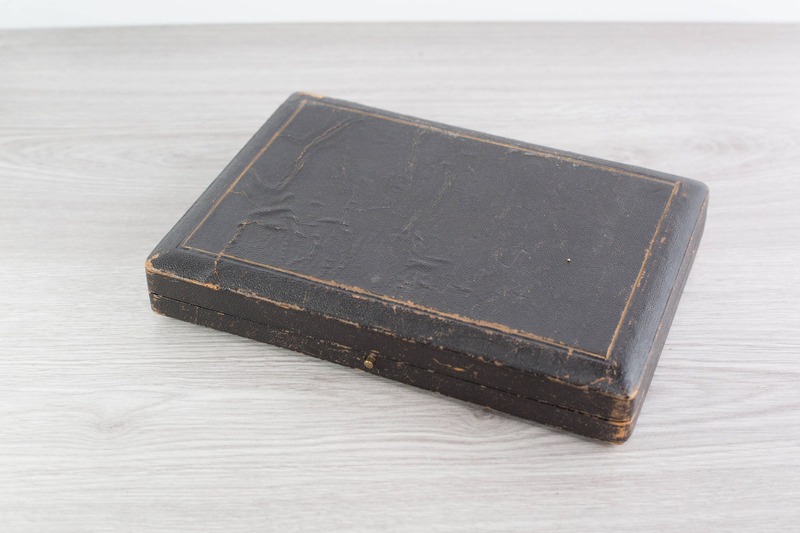 Box reads, "Sunlight Prize Presented by Lever Brothers Limited" and "Elkington, Liverpool". 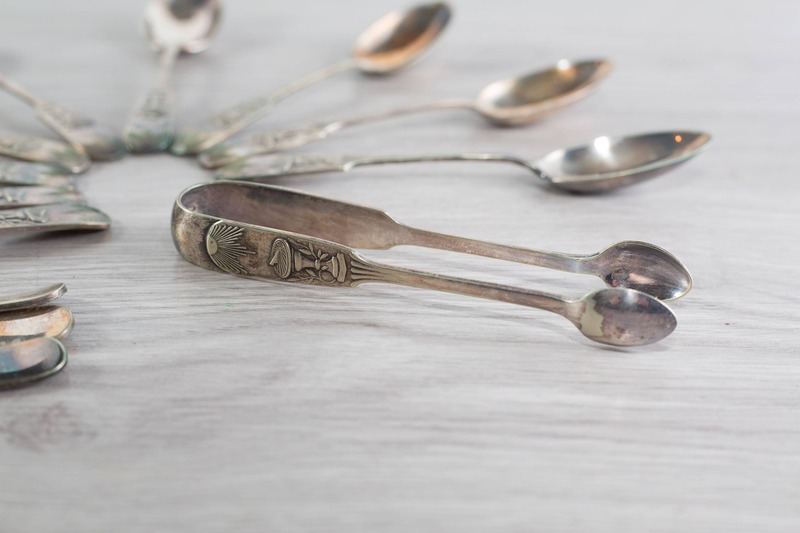 Makes great dessert or coffee and tea spoons.